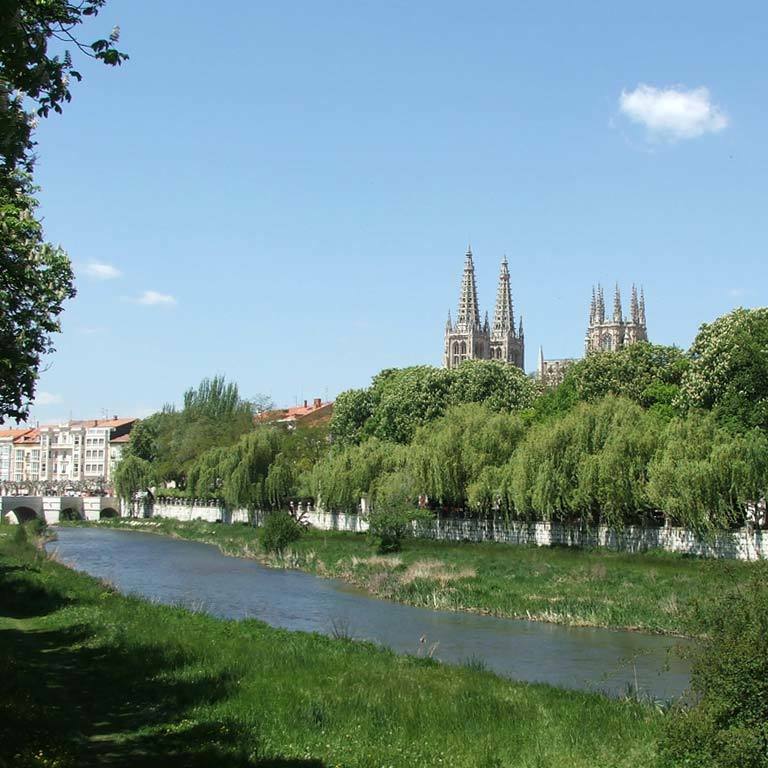 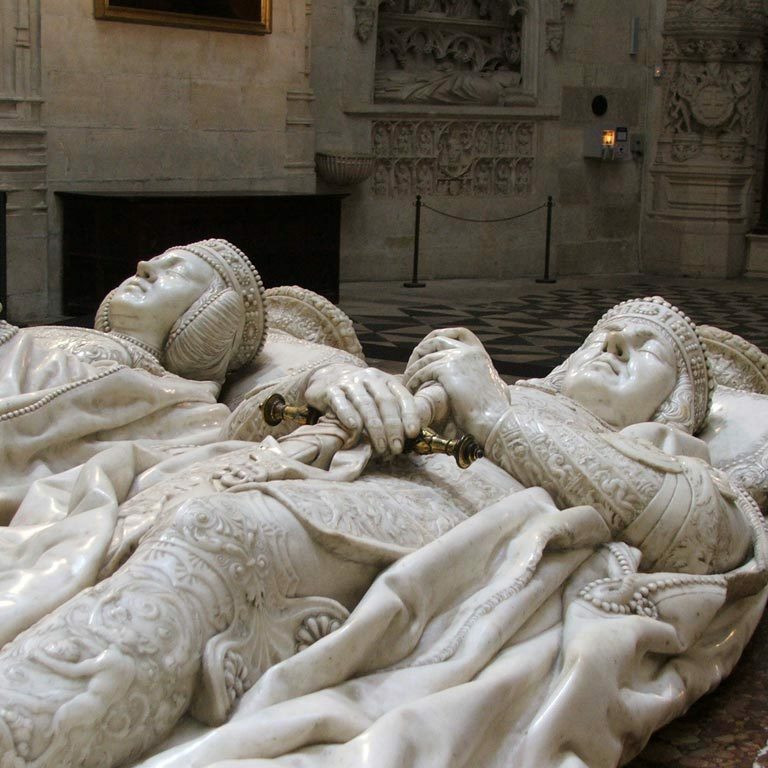 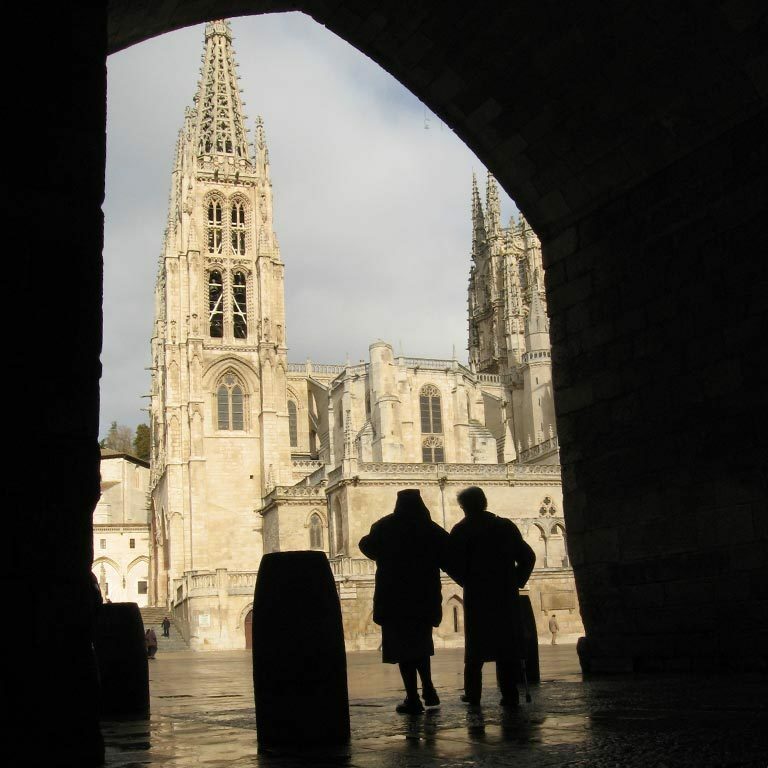 In 1075 the king of Leon and Castille Alfonso VI transferred the episcopal seat of Gamonal to Burgos. 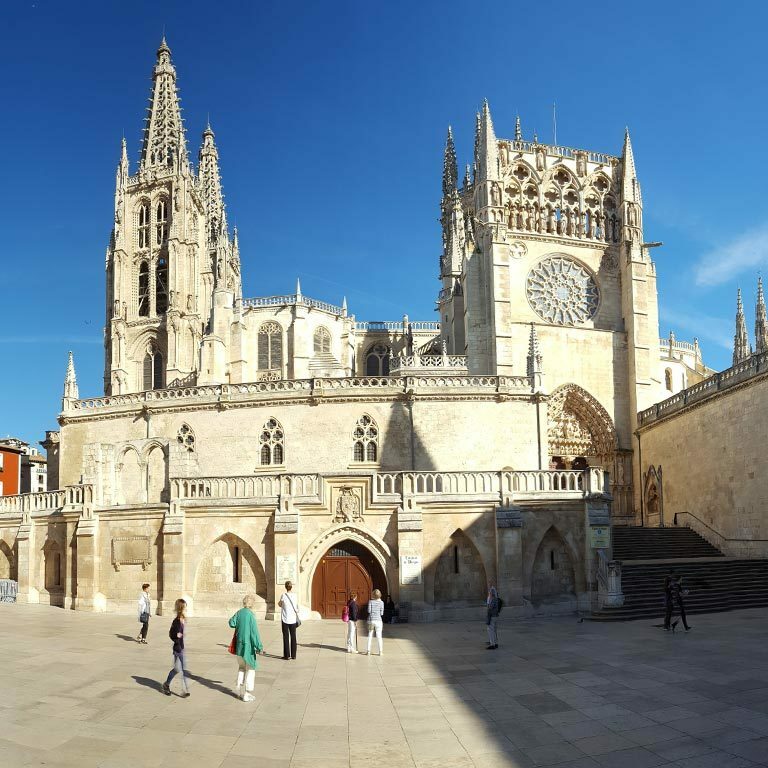 There was built a Romanesque church that, in the thirteenth century, would be replaced by the current cathedral, which began to be built on 1221, July the 20th, being King Ferdinand III. 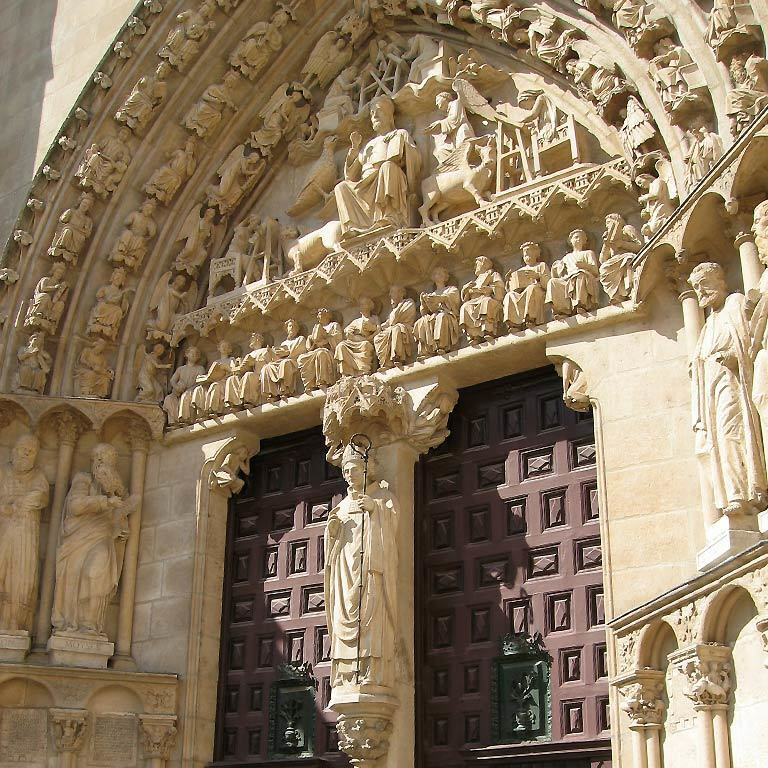 The works went on for several centuries, although his personality is fundamentally Gothic. 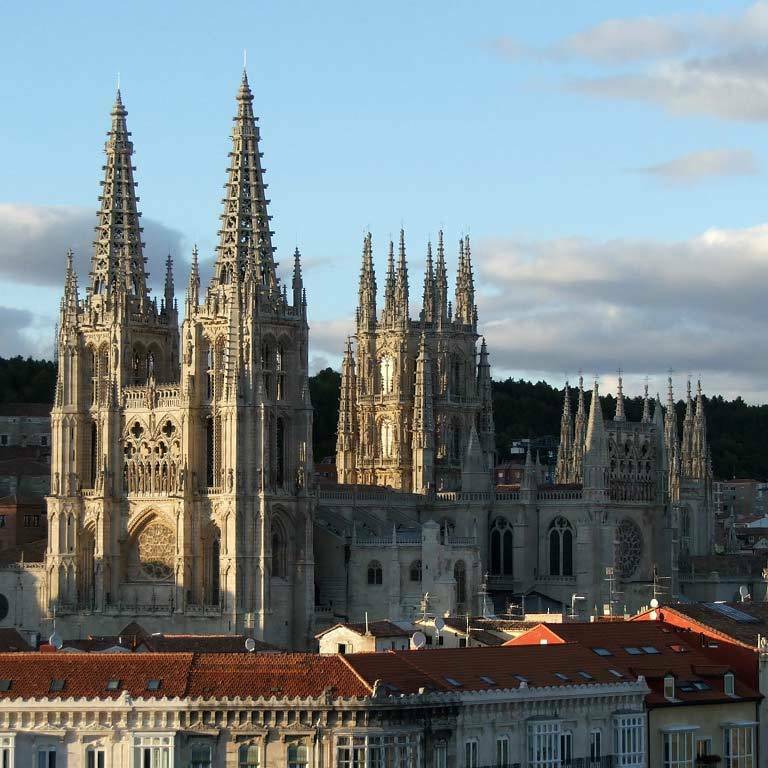 The cathedral has been a World Heritage Site since 1984. 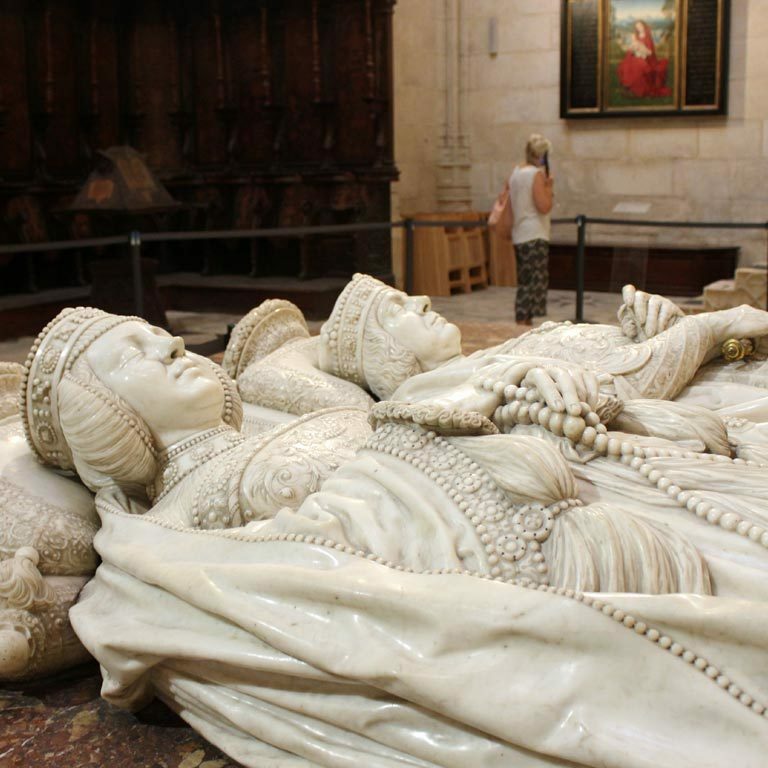 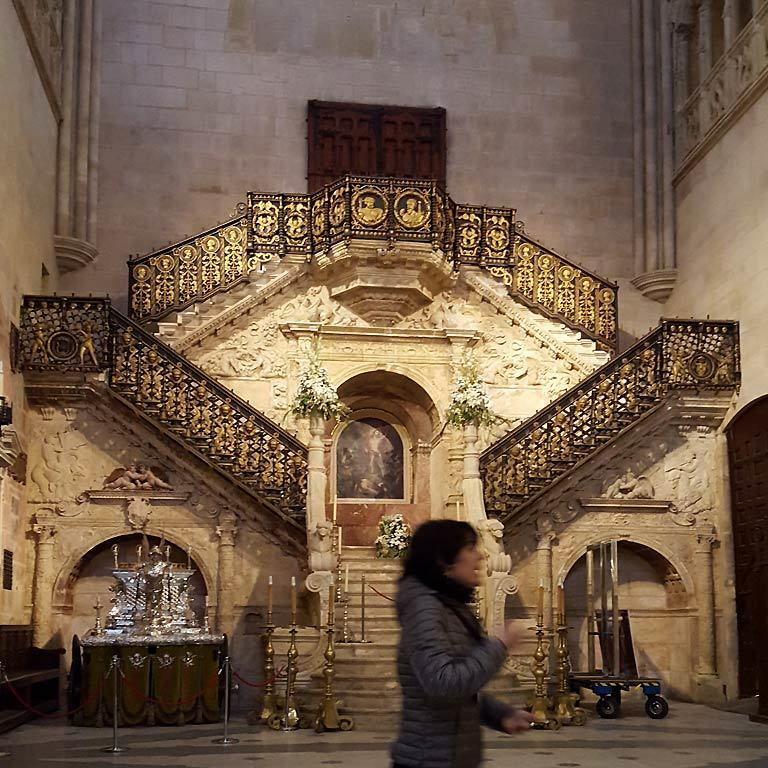 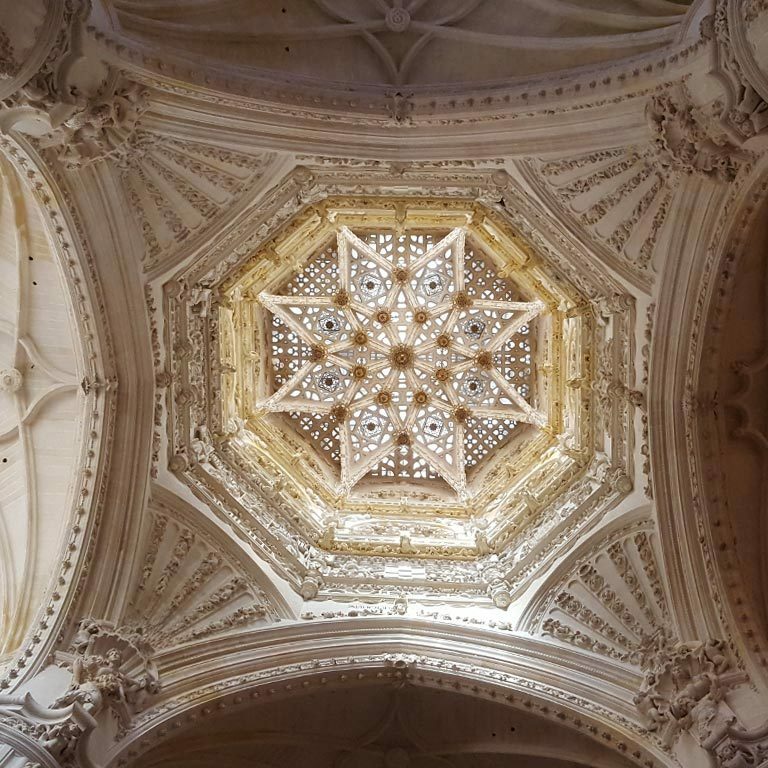 Among its many artistic attractions, you can find the gothic gates of Sarmental and Coronería (13th century) and the needles of Juan de Colonia (15th century) and, in the inside, the Golden Staircase (la Escalera Dorada, a Renaissance work of Diego de Siloé, 15th century), the Chapel of the Condestables, or its fabulous dome (work of John of Cologne in the fifteenth century). 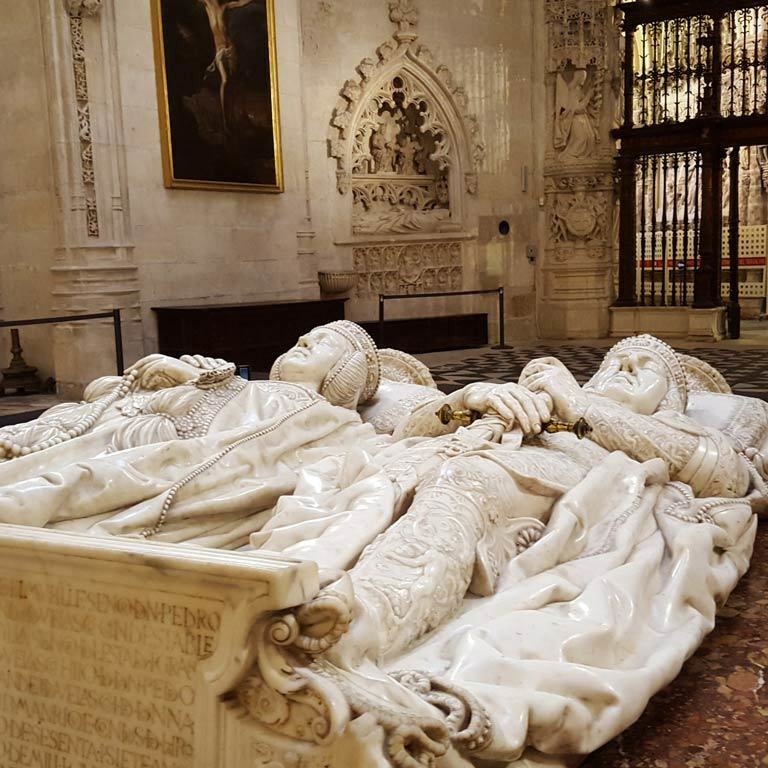 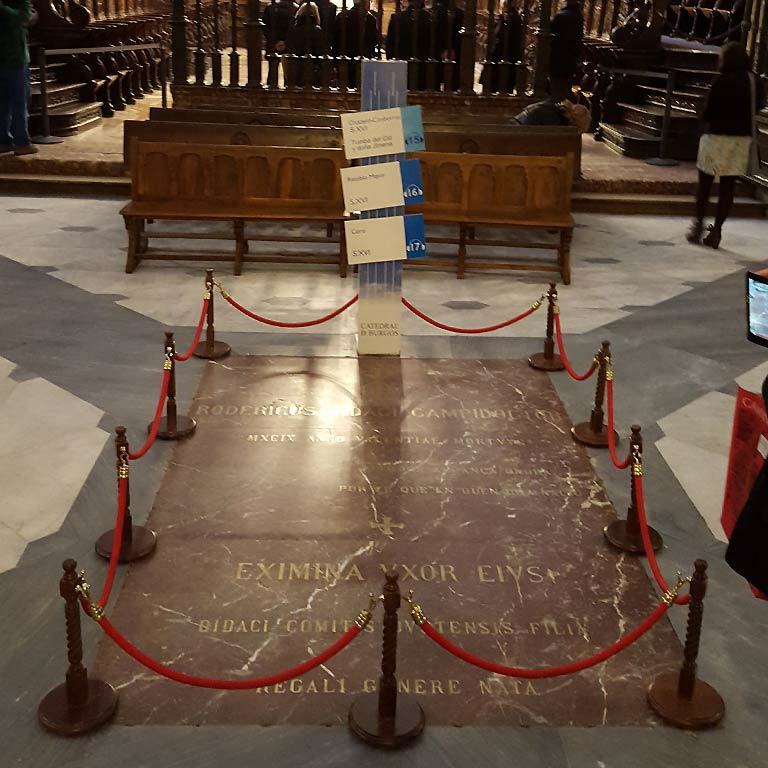 Precisely under the dome, in the central nave, under a simple gravestone, are the mortal remains of El Cid and his wife Jimena. 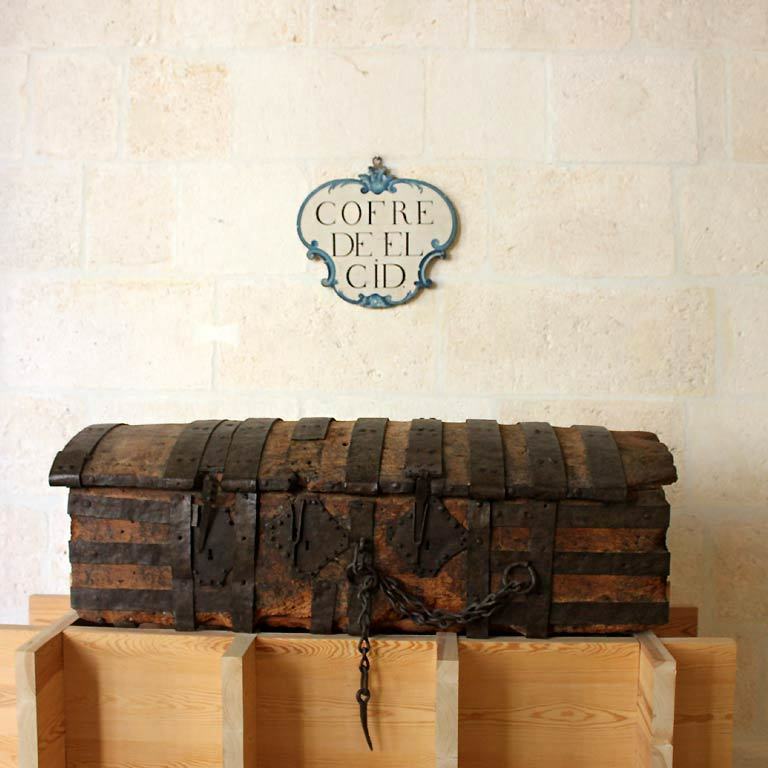 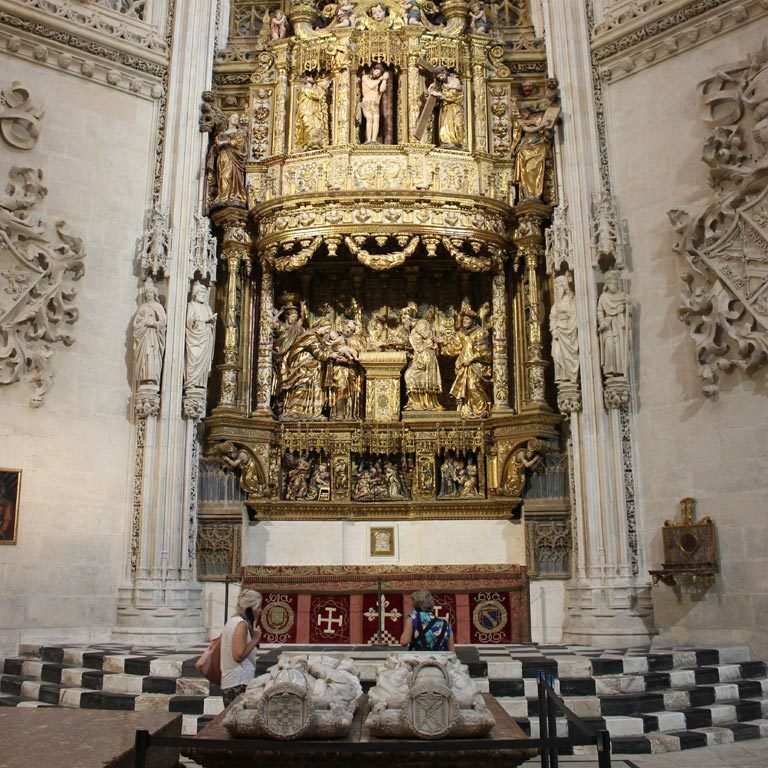 The cathedral also houses other cidian references, some of which are legendary, -such as the ark of sand which appears in the Cantar, where Don Rodrigo deceived the Jews of Burgos to obtain capital to keep their troops on the way to the Exile-, and other historical ones, like the Letter of Arras (marriage money contract) of 1074 in which Rodrigo and Jimena gave themselves different properties on the occasion of their marriage. 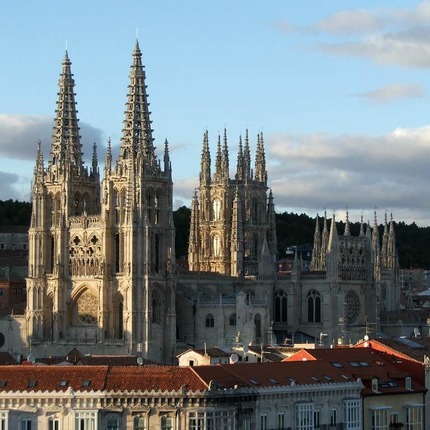 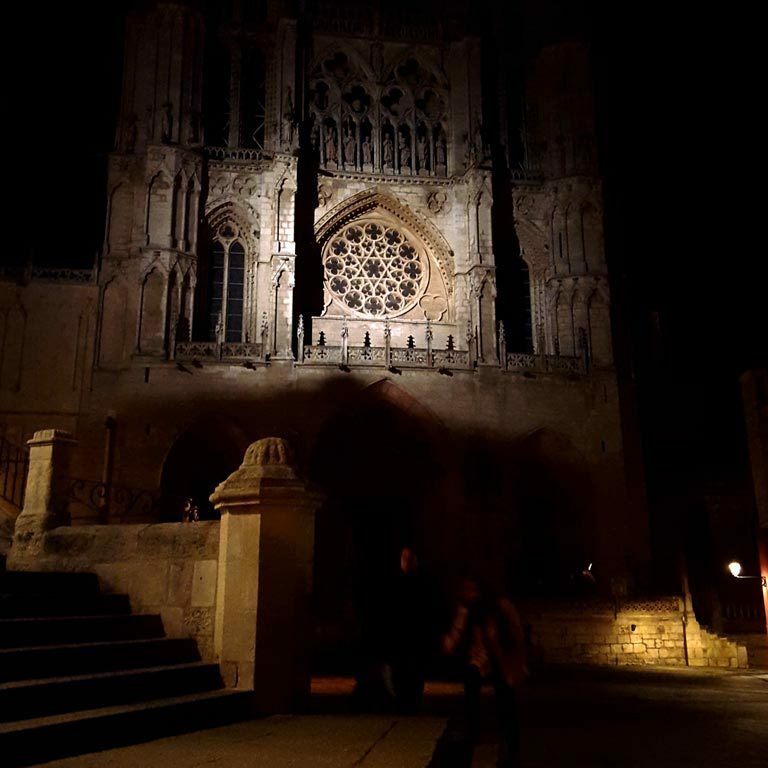 Also The Song of El Cid locates in the outside the place where Rodrigo, after entering Burgos coming from Vivar, kneels to ask for strength to the Virgin before leaving for the exile, crossing the Arch of Santa Maria. 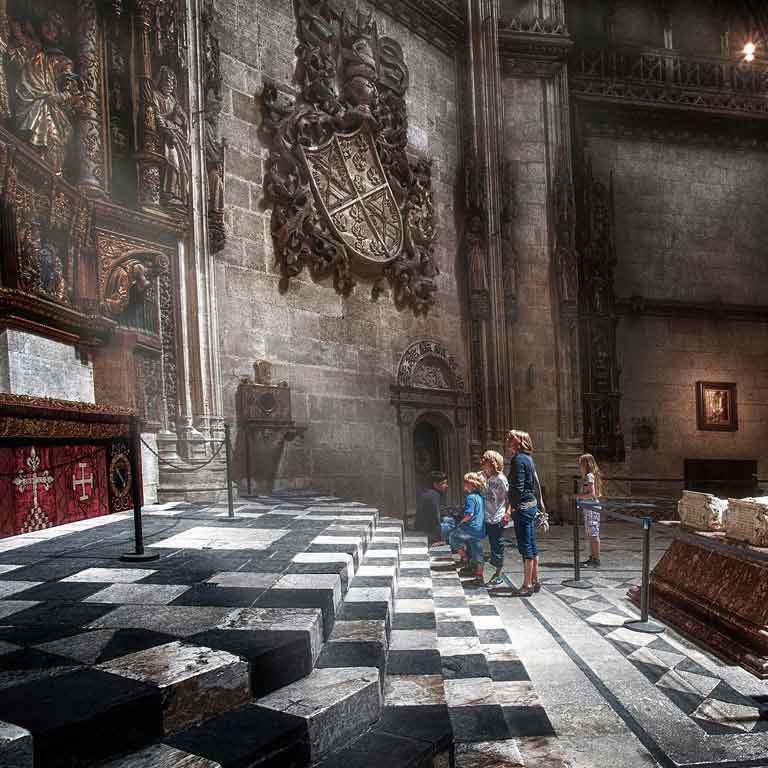 Visit: with ticket (there are guided visits).